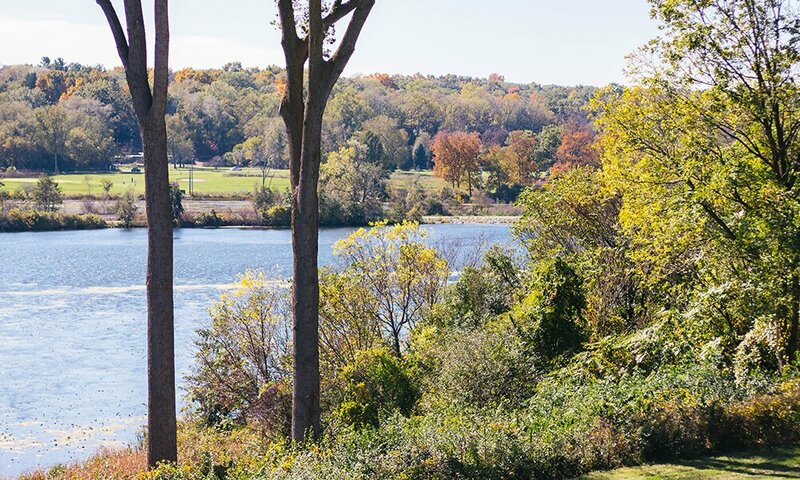 Located directly on the banks of the Huron River, Concordia University Ann Arbor is truly a hidden gem. 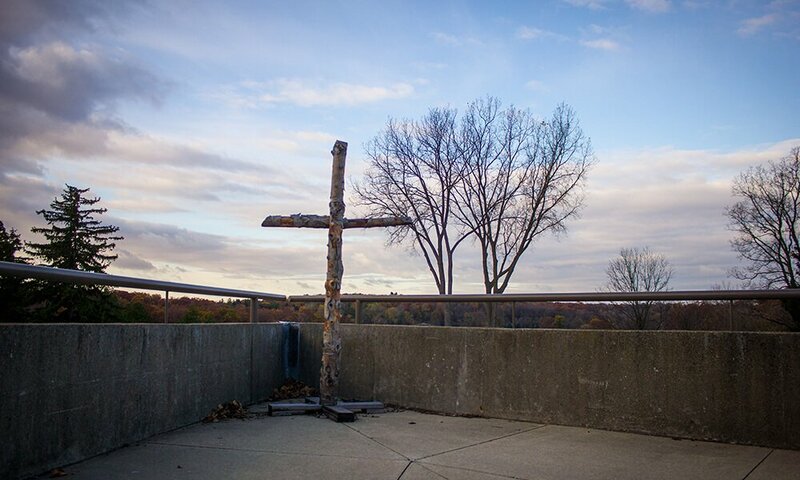 Visual treasures are scattered all around our campus and every Concordia student is blessed to be surrounded by each of these scenic spots every day. 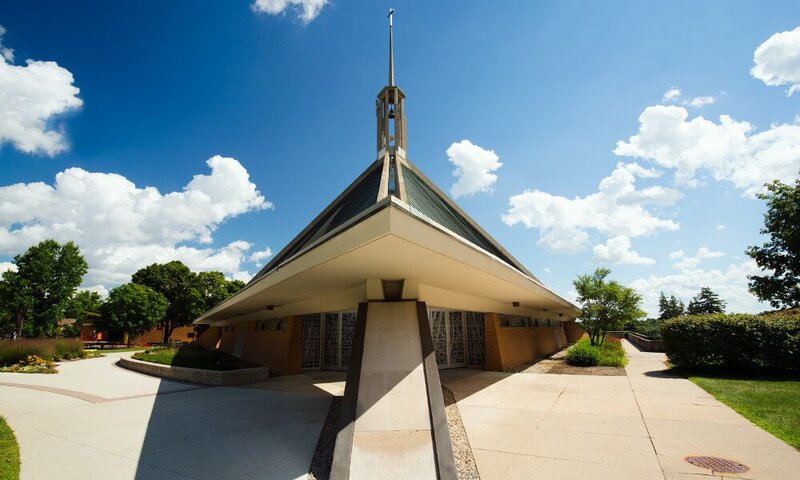 The Chapel of the Holy Trinity is located directly at the center of campus from east to west. 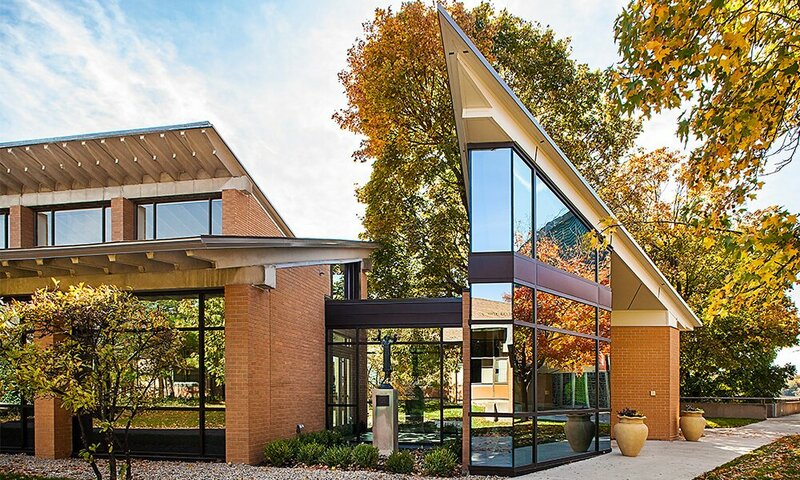 Overlooking the river on its south side, Concordia’s essential landmark houses daily chapel, campus events, Sunday church services, concerts, weddings, and graduations for well over fifty years. 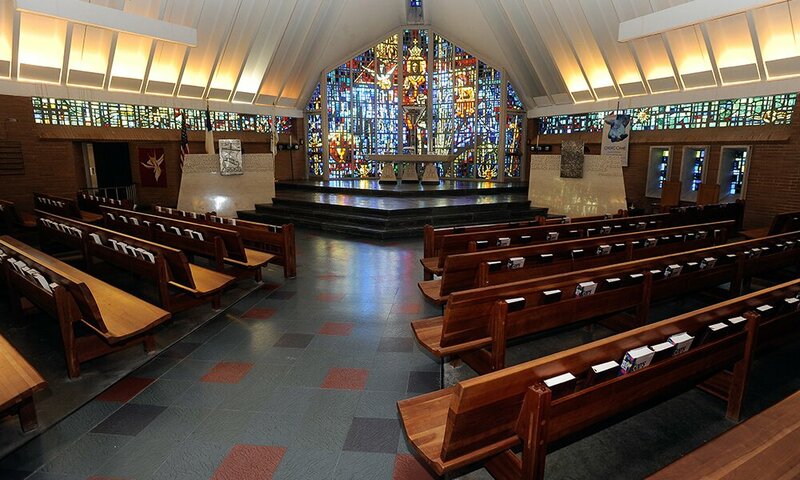 When students, faculty, staff, and visitors enter the Chapel of the Holy Trinity, they are surrounded with what is known as lux nova, or “new light.” (I’m an art major—I can’t resist the chance to insert some art history fun facts!) 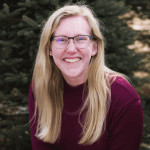 As the everyday sun streams its rays through the carefully crafted stain glass that covers every window in the chapel, all who stand in the chapel are surrounded in colored light that displays the life and work of Christ. 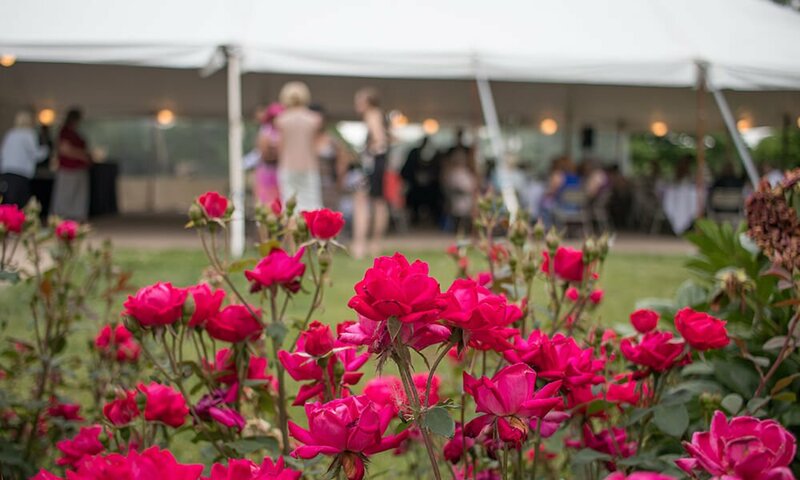 Every spring and summer, Earhart Manor is surrounded by beautiful blossoms that add extra color to the many events that occur on CUAA’s campus, even when school isn’t in session. As a summer student worker, I am here to tell you how much the floral foliage is appreciated and adored. Just steps away from Chapel Point lies the boat docks. 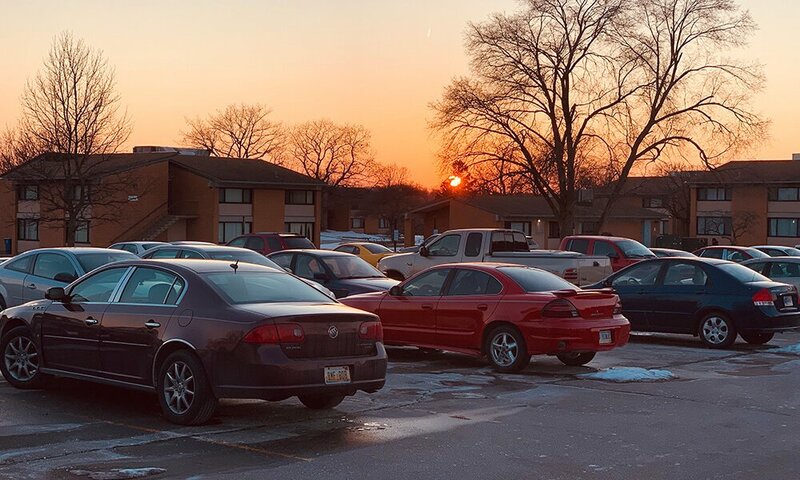 No matter the time of year, CUAA students are bound to catch a beautiful sunset to end their busy days. Especially in early fall and late spring when nights in Michigan become warmer, students can be found here playing games, fishing, taking photos, and hanging out together. This spot is not only breathtaking but life-giving as we get to experience God’s gorgeous creation while spending time with great friends. 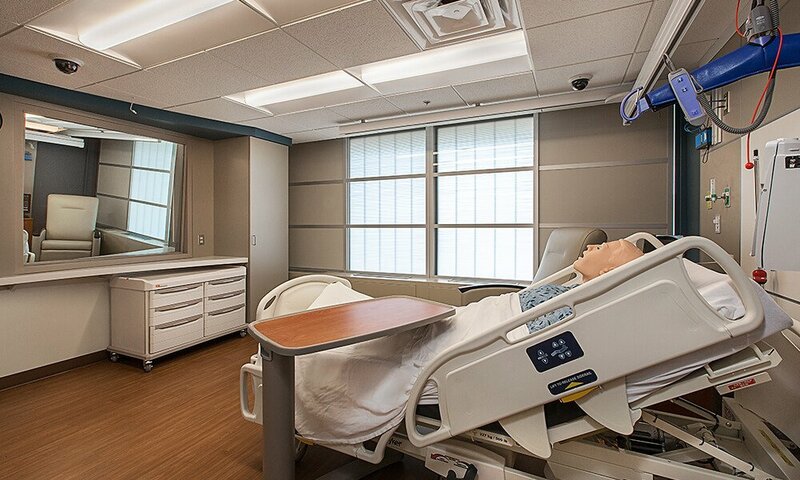 Beauty, in a traditional sense, isn’t always seen in the simulation labs and healthcare facilities that fill the North Building. True beauty is found in the opportunities that are provided for the nursing, athletic training, and other health profession students that occupy these halls every day. As a addition to CUAA’s campus in 2015, the North Building has become a beacon of real world experiences intertwined with exceptional educational resources. There is a certain point in mid-October that all the trees in Ann Arbor decide to turn from shades of green to shades of orange, gold, and red. During this time of year, the Huron River is a spot every student should take a moment to admire. 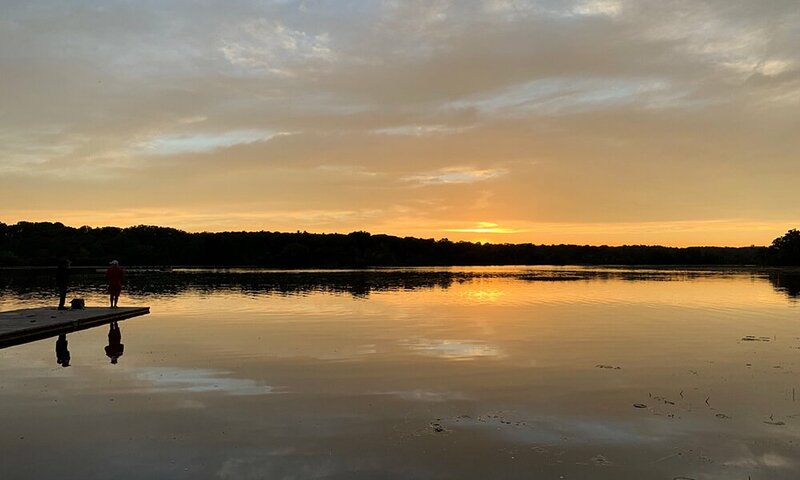 While the sun is still warm, complemented by the cool breezes of fall, head on down to the docks or even Chapel Point to catch some inspiring fall views. Located on the east side of the Zimmerman Library, facing Krieger Hall, this bronze sculpture was gifted to CUAA in 2015 from its first class of 1965. At a hefty weight of 900 pounds and a height of 6’6”, this monument is hard to miss. It was positioned a fair distance from the center of campus in order to keep the Chapel of the Holy Trinity the central focus. 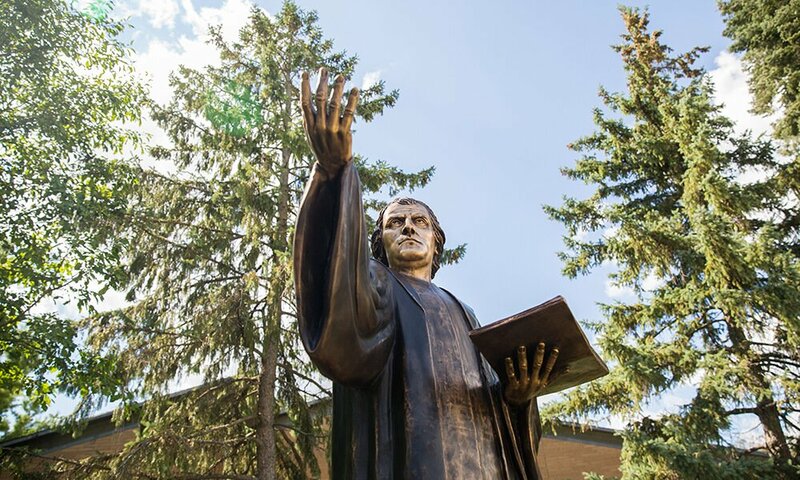 However, students that pass this statue are still reminded of Luther’s lasting reformation work and Concordia’s Lutheran identity and heritage. Remodeled in 2015, this building is the home of many art and music students on campus. Complete with a 2-D and 3-D studio, recital hall, practice rooms, painting studio, theater scene shop, music technology labs, graphics lab, the Black Box theater, and the Kreft Gallery, there is a lot more to this building than what meets the eye. Michigan winters may make us all want to stay indoors, but I urge every student to go outside and take a look at the sunsets throughout Michigan’s coldest season. Stepping out of your Hall may feel like a less than favorable options, however a dazzling sun and a painted sky should warm you right up. 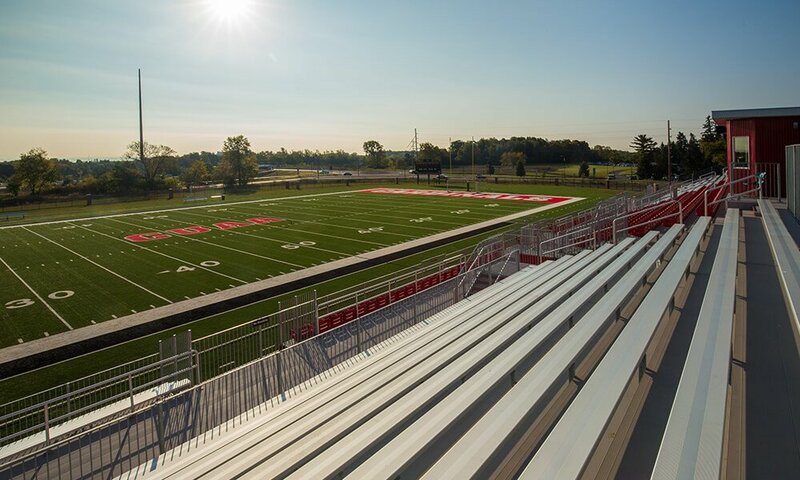 Sun and skies seem to be a bit of a theme here, but the Cardinal point of view gives many beautiful vantage points, including this one at Cardinal Stadium, complete in 2016. When sitting on a top bleacher, it almost feels like you’re at the top of the world. If the skies are clear, you can see just about every tall Ann Arbor landmark from these stands, including the downtown Ann Arbor. … or really, any time, but especially at Christmas. We all know that CUAA likes Christmas A LOT. One of the reasons we are so fond of this season is because of the beauty that it reveals on campus, reminding us of the birth of our Lord and Savior. 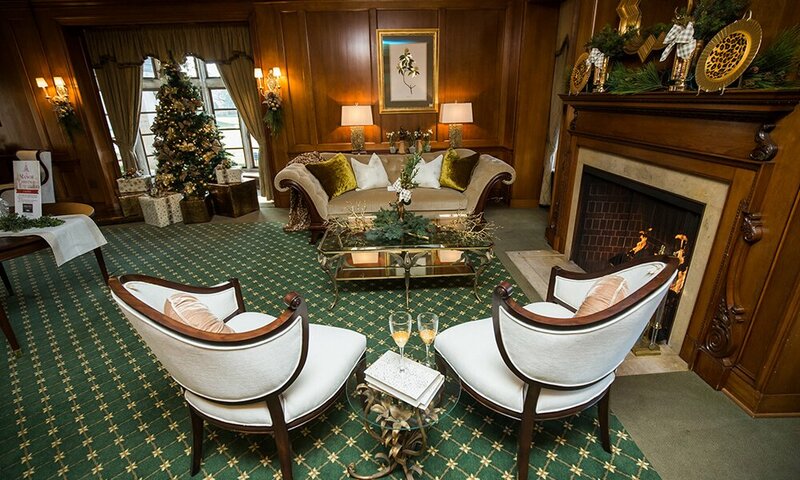 From the theatrics of the Boar’s Head Festival, sounds of music drifting from A Manor Christmas, to the lights that twinkle from the windows of the Earhart Manor, this is a season you want to be sure to be on campus. The chapel has taken three of the twelve scenic spots, but rightfully so. Chapel point is one of the most beloved scenic spots and a common photo location for people on campus. 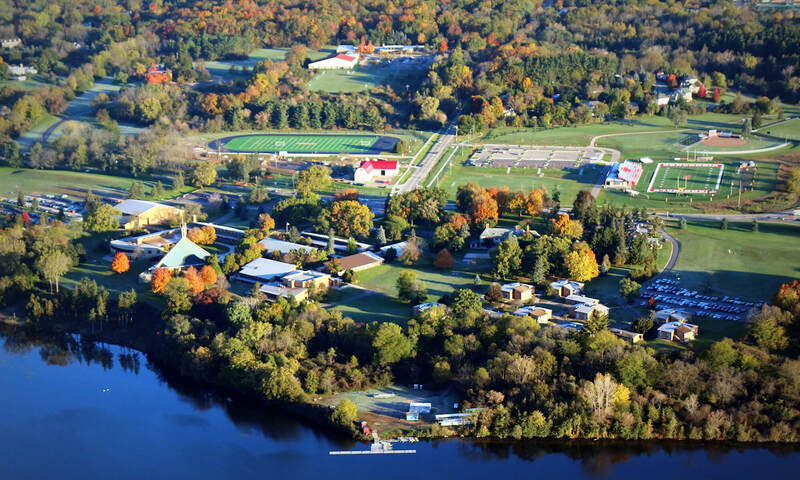 Chapel Point is located directly behind the Chapel of the Holy Trinity and overlooks the entire stretch river that belongs to CUAA. Arguably one of the most beautiful spots on campus, Chapel Point is a must-see whether you’re a visiting student or returning alumni. Do you have favorite pictures of CUAA’s campus? We want to see it! Be sure to tag us on Instagram, Twitter, or Facebook when you share pictures of your favorite scenic spots.